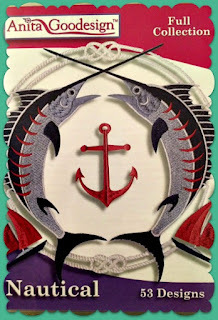 Happy Sunday friends. 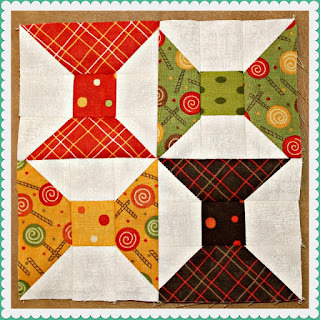 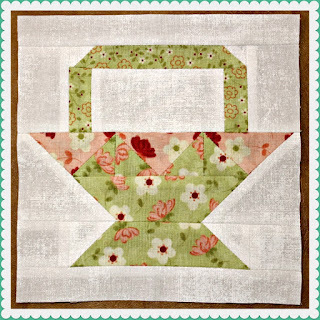 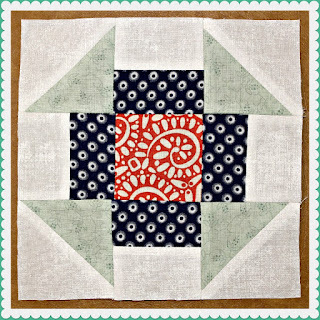 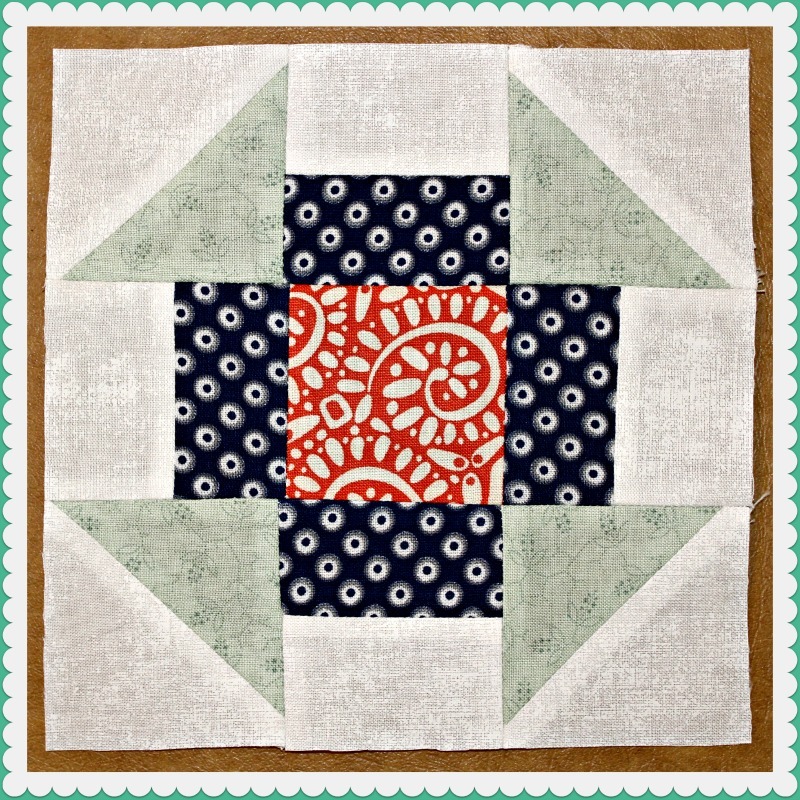 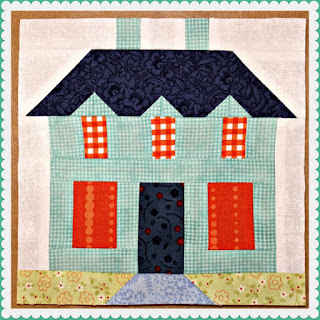 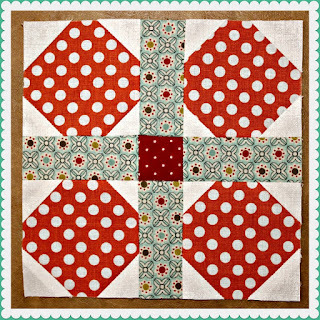 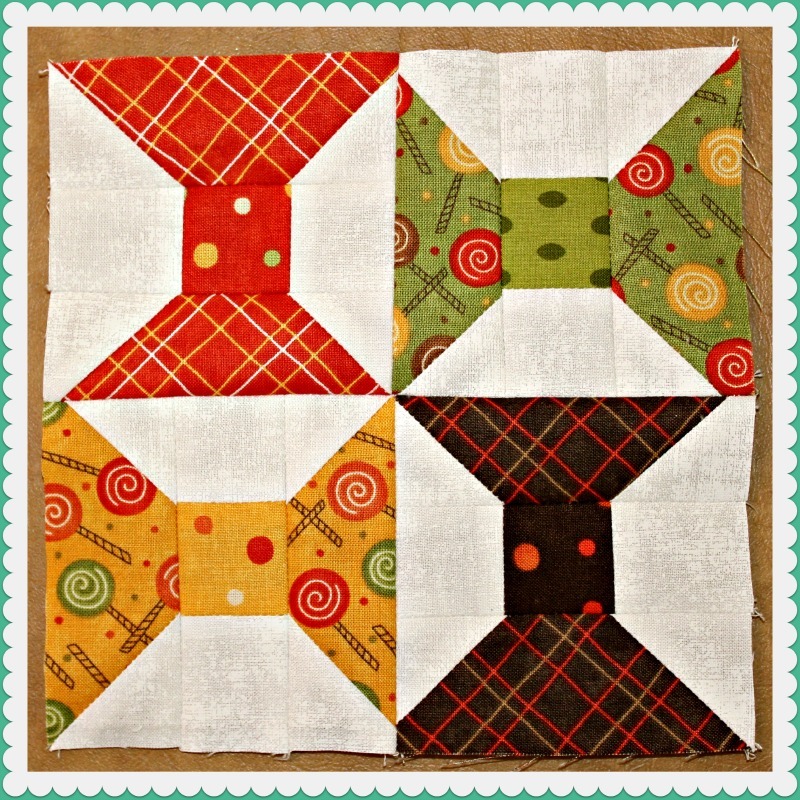 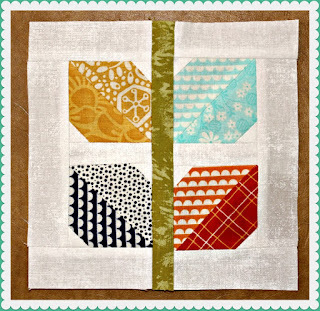 I am here to share my Farm Girl Vintage blocks as part of Lori Holt’s Farm Girl Fridays Sew Along. 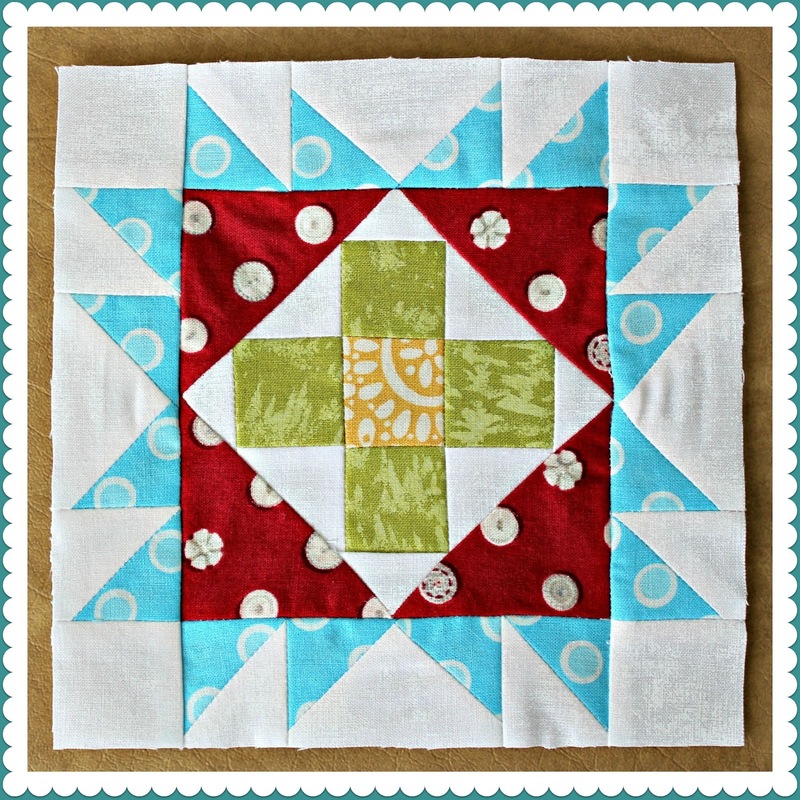 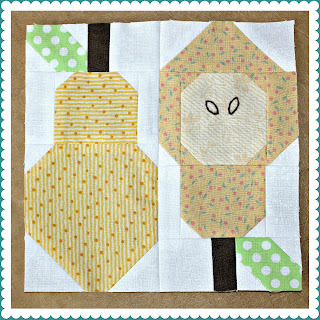 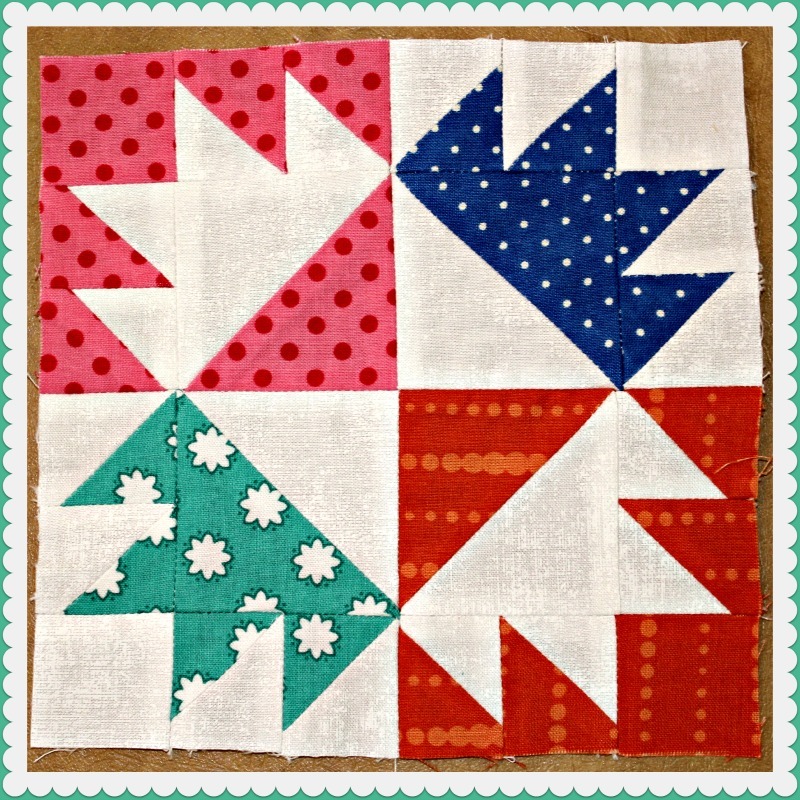 If you haven’t already, check out Lori’s blog Bee in My Bonnet for a recap of the sew along and additional ideas / projects for using these blocks. 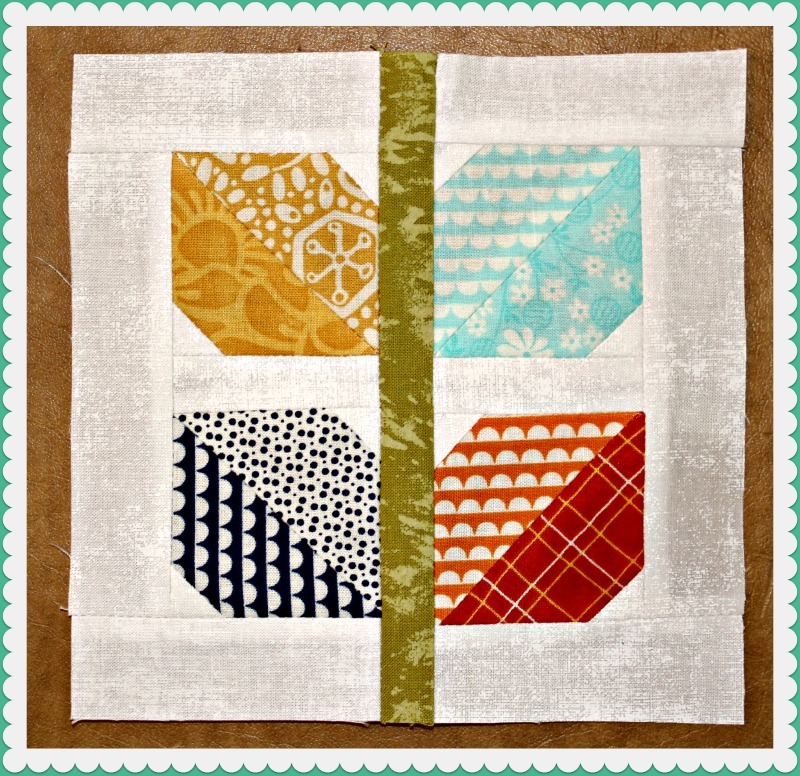 This is week 9 and block #s 16 and 17, hard to believe! 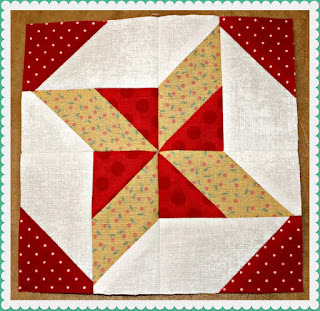 Staying inside today, the temperature is forecasted to be in the 90's with a heat index of 105 degrees. 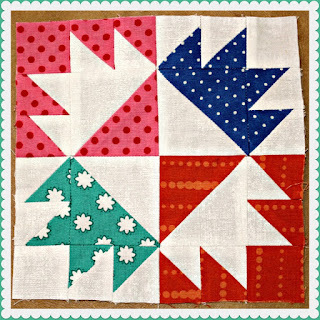 I'm linking up to Karen's Sew Darn Crafty Linky Party. 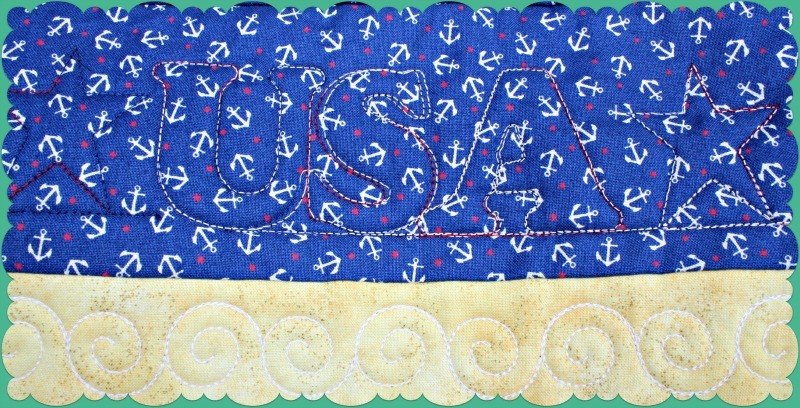 Go over and see what everyone else is up to today. Thanks for stopping by and I hope you have a blessed Sunday and great week ahead! 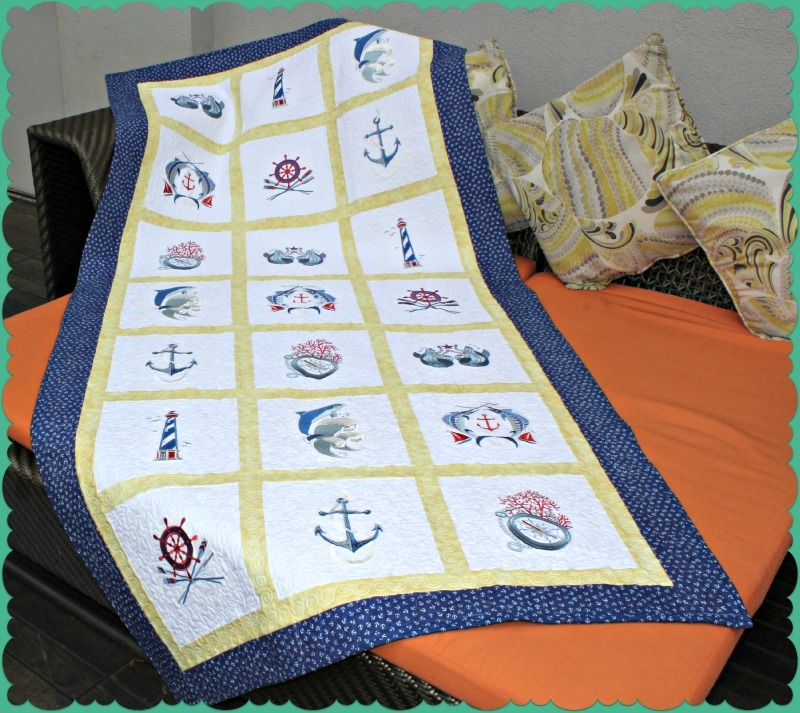 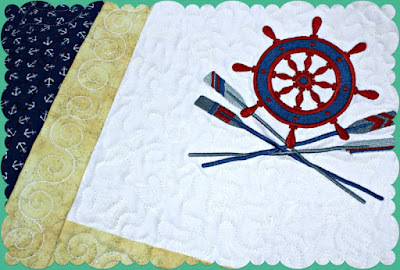 I promise this is the last post about the quilt I made for my son’s bed on his Navy ship. I want to share just a few of the details with you. 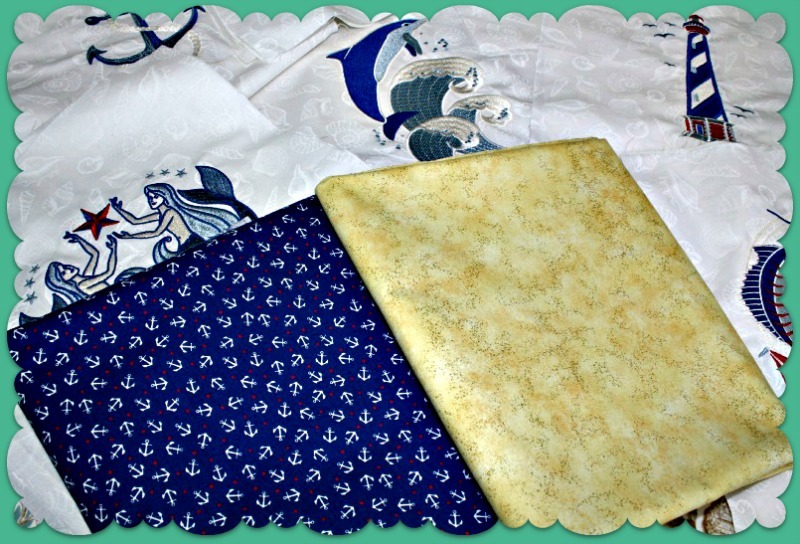 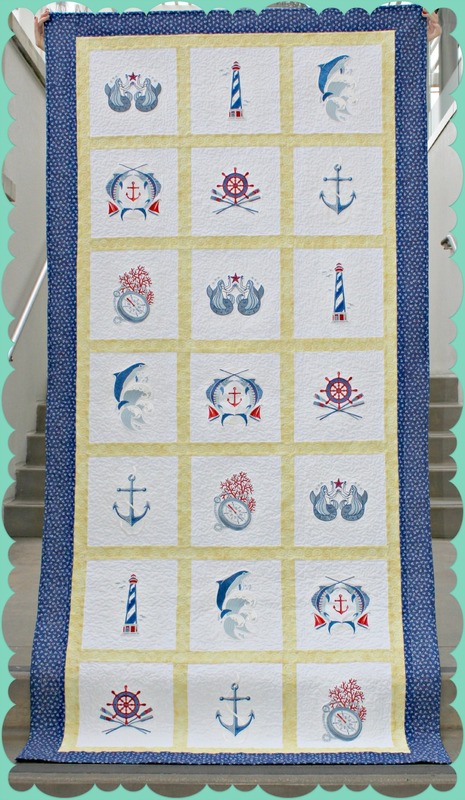 White-on-white seashell background and the Navy Mini Anchors border fabric is from Timeless Treasures Fabrics of SoHo. 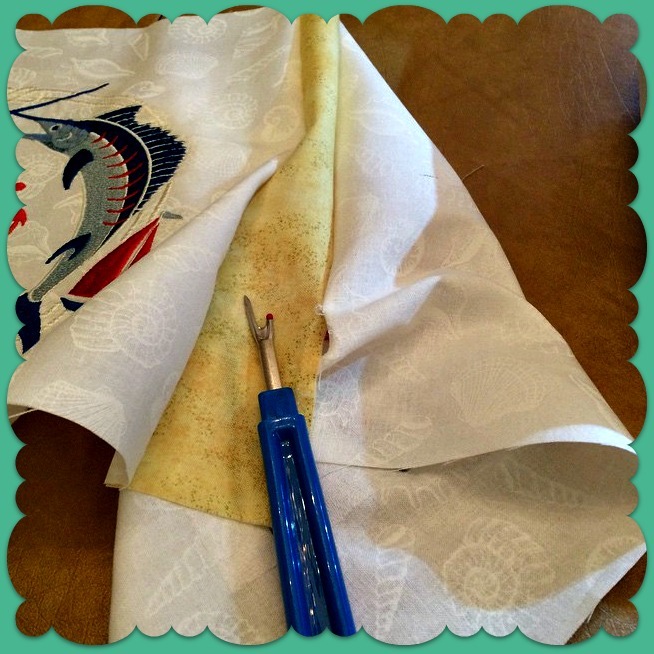 The yellow sashing fabric is Artisan Spirit Shimmer by Deborah Edwards of Northcott. 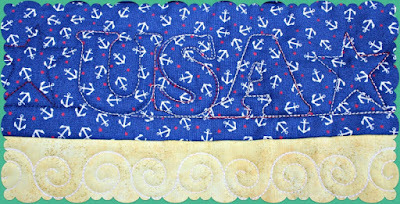 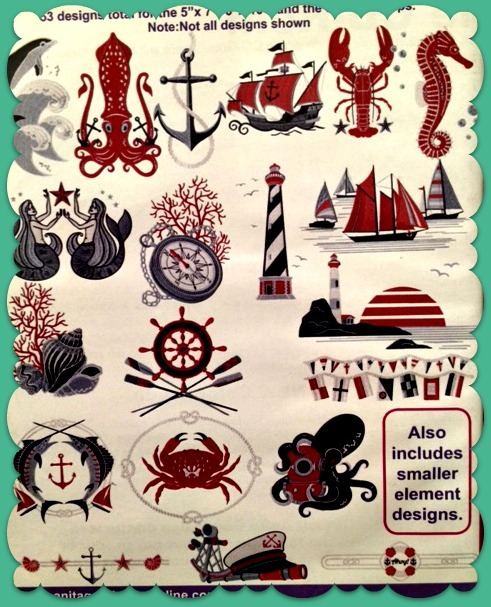 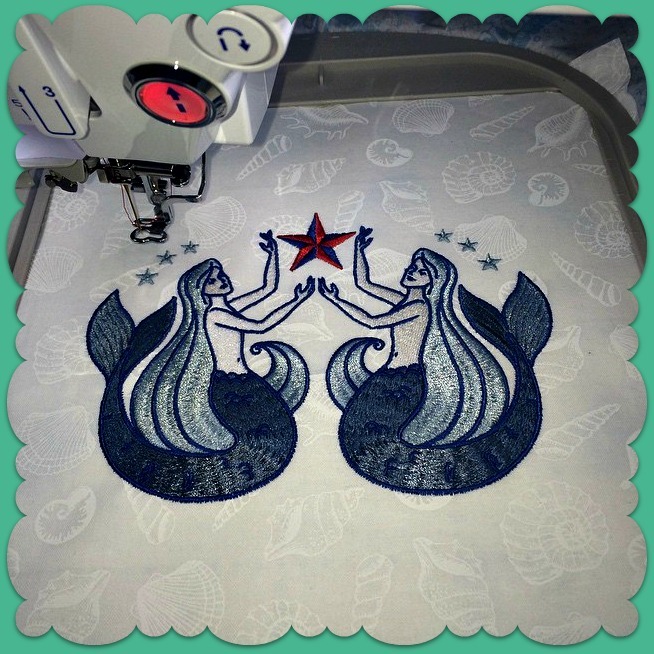 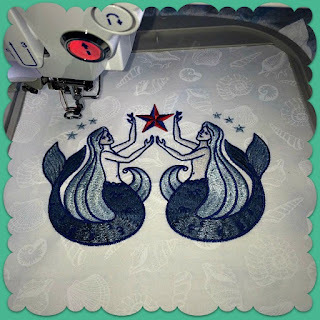 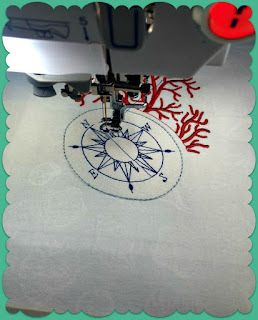 The embroidery designs are from Anita Goodesign’s Nautical collection. 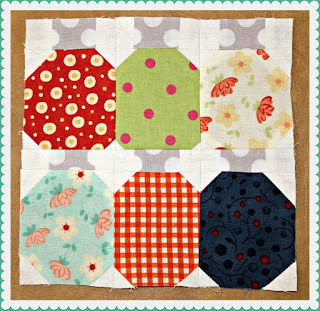 You can see a close up of the individual blocks here. 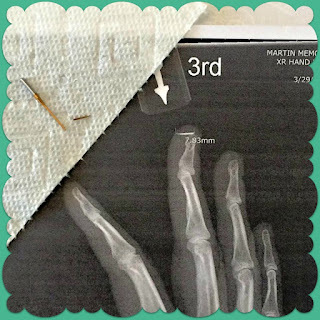 Then I had to prove that those titanium needles WILL break! 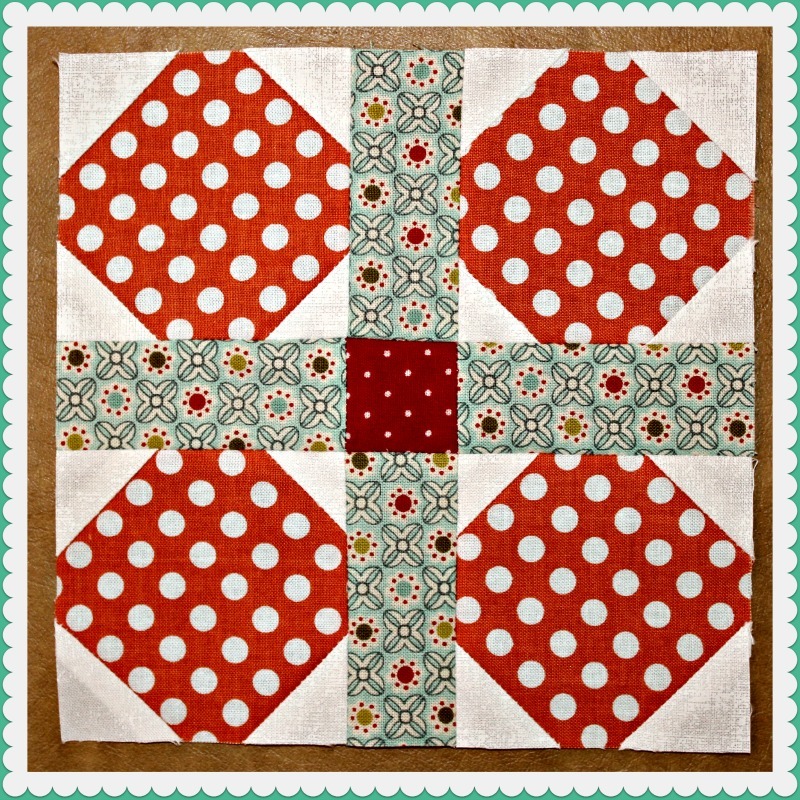 My friend worked her quilting magic. Would I do it again?????? 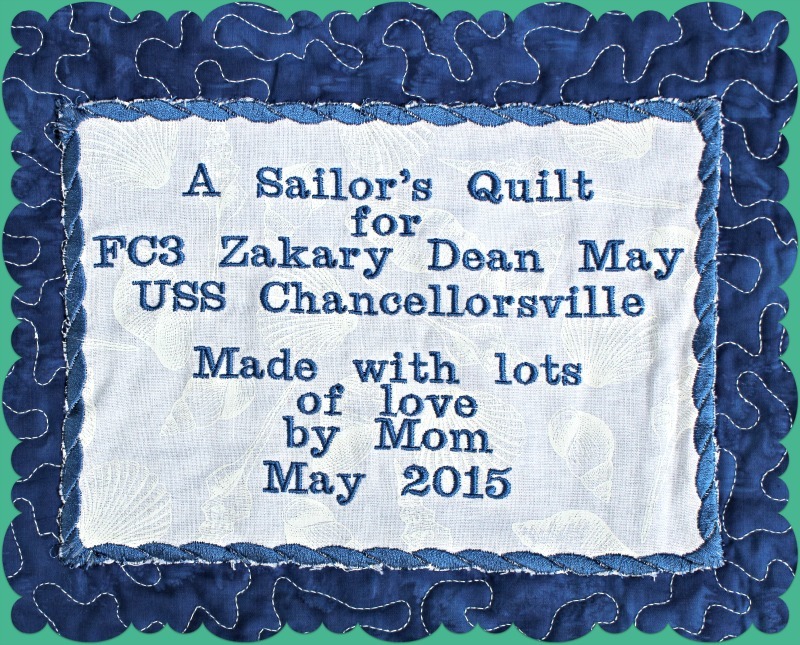 After all of that, I never got a picture of him and the quilt. 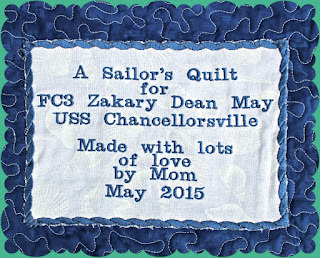 I delivered it to him when we went to San Diego in May. 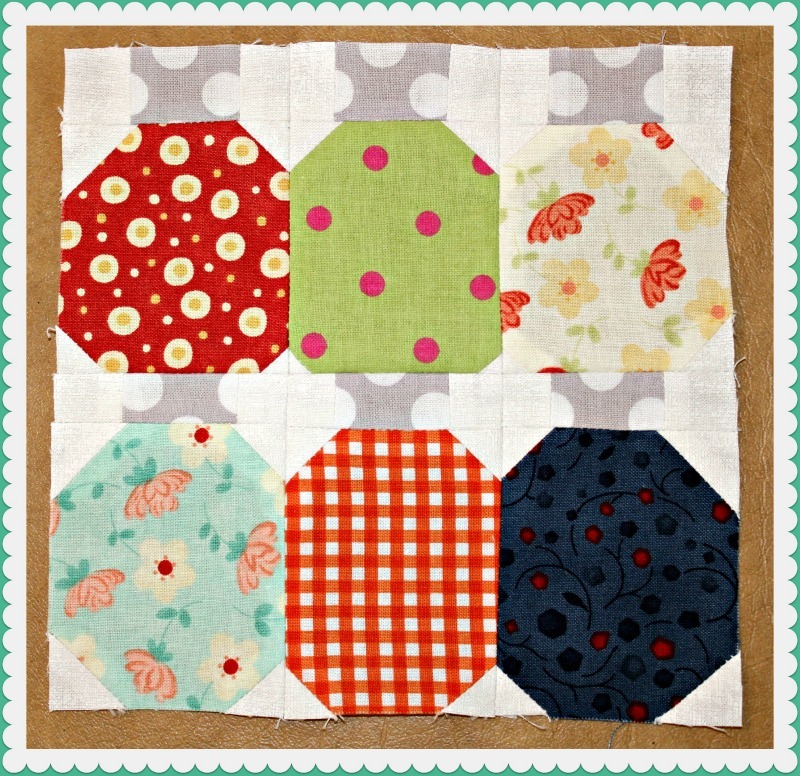 …Farm Girl Vintage blocks, that is. 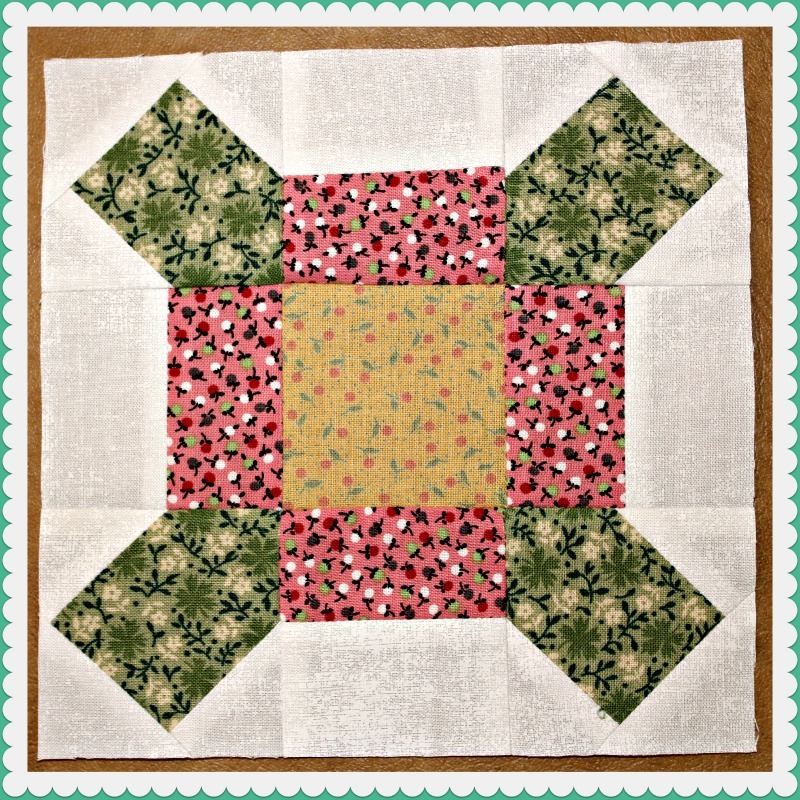 Our trip to California, getting DD ready for university and my charity quilt sewing put me behind on the Lori Holt’s Farm Girl Fridays sew along. 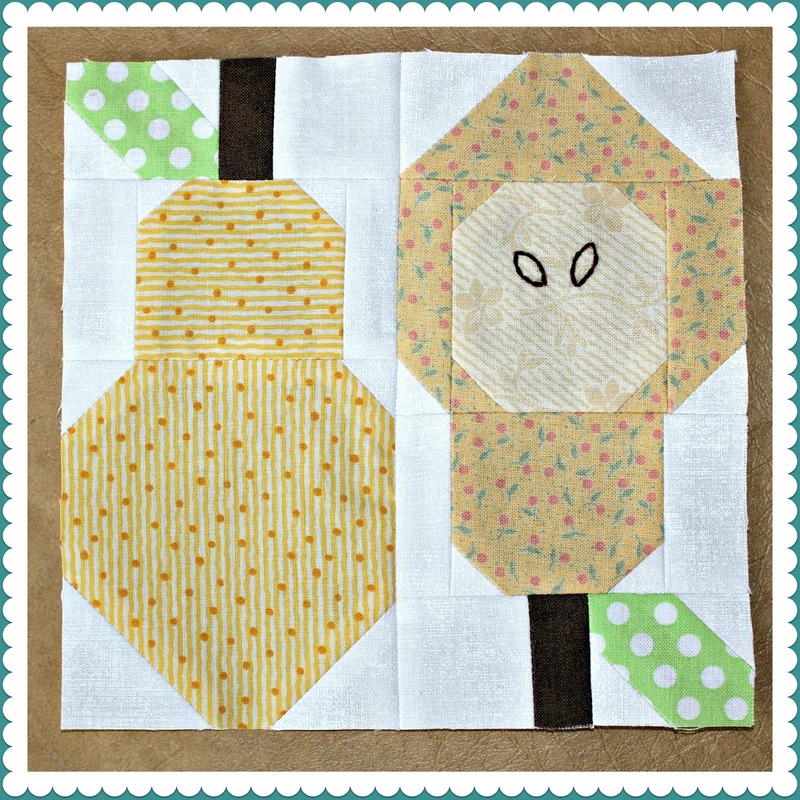 I spent this weekend getting caught up. 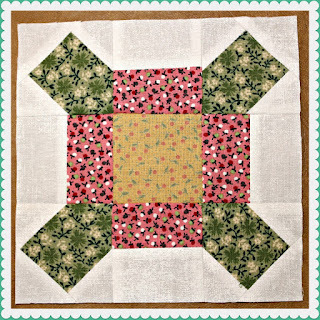 After I completed each block I declared it my favorite. I’m also getting used to this scrappy thing…it’s kind of fun.